If you’re traveling between Asheville and Charlotte which way do you go? Do you take I-85 to Spartanburg, then I-26 to Asheville? Or are you going to take Highway 74 through up to Columbus and then follow I-26 to Asheville? Both ways are good, but Highway 74 takes you through Shelby. A great look down South Lafayette Street from the corner of South Lafayette and East Graham. 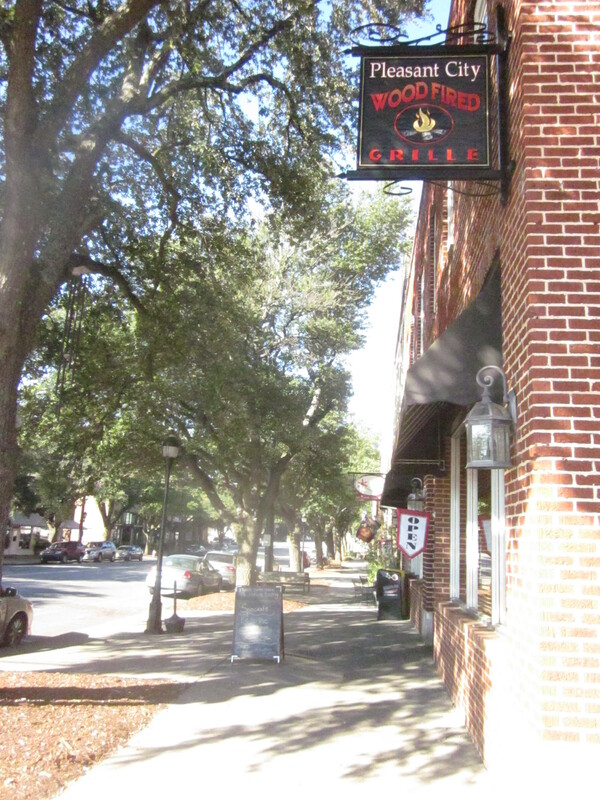 Check out the Pleasant City Grill’s website. Shelby is a town full of character and a great place to relax. The city is committed to a high quality of life, as demonstrated from the video I posted this past Saturday. You can click here to enjoy the fountain on East Graham Street. 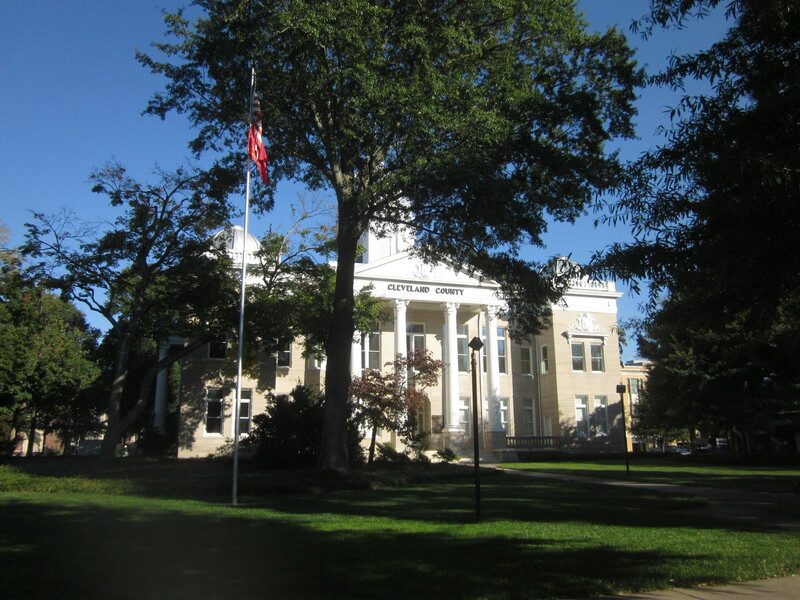 Of course, if you’re just passing through you may not have have much time to spend in one spot, so the place you need to go is Shelby’s Historic Courthouse Square. This gorgeous building is being transformed into a center to celebrate the musical traditions of the surrounding area. To learn more about the courthouse you’ll want to click here to visit the National Park Service website that will tell you all about it. According to the site the Courthouse, built in 1907, is a Neo-Classical building of the Beaux-Arts style. This coming January it will become home to the Earl Scruggs Center, where you’ll be able to explore the life of the Cleveland County native and the culture that shaped his music. You can find out about the Earl Scruggs Center by clicking here to visit their home page. The entrance to the Buffalo Creek Gallery, right across from the Courthouse. The Square around the Courthouse has become a focus for the culture and history of Cleveland County. 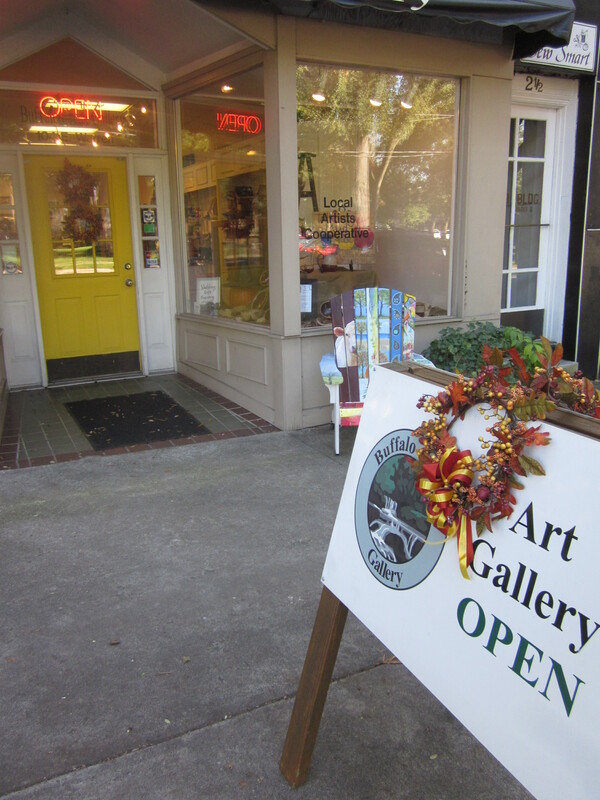 Buffalo Creek Gallery is only one example of what you can find throughout Cleveland County. You’ll want to click here to visit their website and discover the original paintings, woodwork, pottery, and chairs they have on display. The newly renovated Cleveland County Arts Council is located across Washington Street. If you click here to visit their website you’ll be at the place to find out about the arts in Shelby and the rest of Cleveland County. Even at this resolution you can see the winged sun on the window lintels on the most prominent example of Egyptian Revival Architecture in North Carolina. 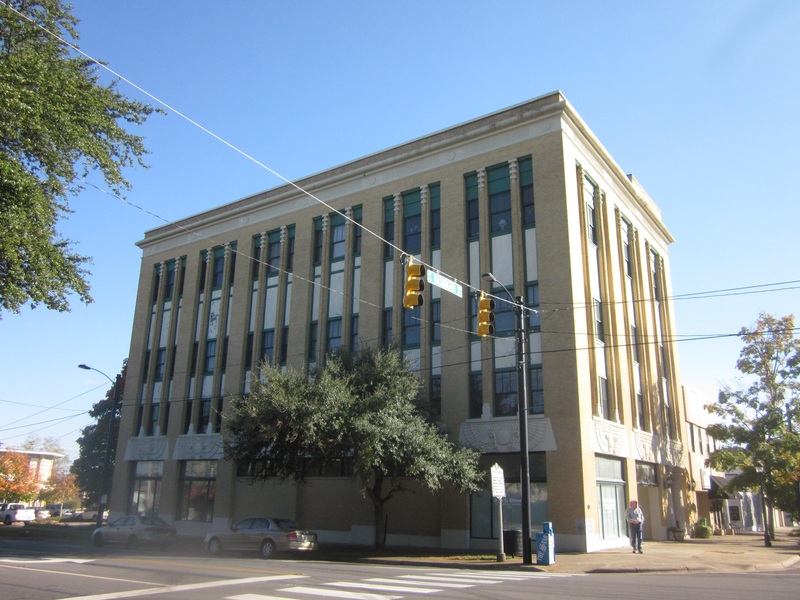 One example of Shelby’s prosperity right across from the Courthouse is the old Masonic Temple. If you look at the pillars on it’s front and the the winged sun above the windows and doors you’ll realize why this is one of the best examples of Egyptian Revival architecture in North Carolina. At least that’s what the National Park Service says on this page all about the building. You can click here to read what else they have to say about its history. If you’re not familiar with the significance of the winged sun you can click here to read the Wikipedia article and its significance throughout history. Modified in its later years of operation, this theater has been restored to what it looked like in the twenties. Whether you’re going to Charlotte or Asheville these sights may be all you have time to see in Shelby. Of course you’ll want to come back, so rest assured there’s alot more to see and do in Shelby. But as you leave Courthouse Square circle back around the Courthouse and head east on East Marion Street. 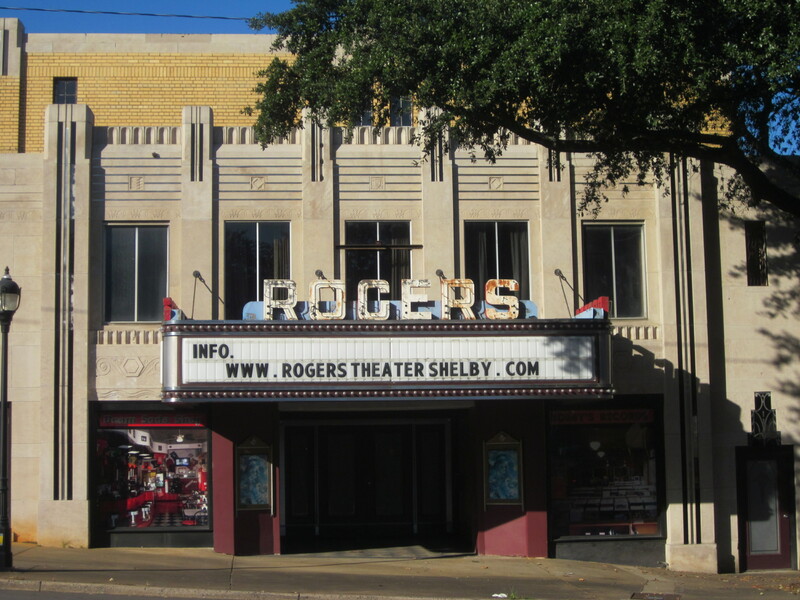 That will take you by the restored Rogers Theater. This is a gem from the grand days of theaters. You’ll want to click here to visit their website where you can read about its history and what it has to offer today. That’s a quick tour of Courthouse Square in Shelby and just a taste of what Cleveland County has to offer. Located between Asheville, Spartanburg, Charlotte, and Hickory, its no surprise the area is prospering. You’ll want to check out these other sites to learn more about the area.